Our annual Spring Fling Silent Auction & Talent Show happens only once a year, and the funds raised go to teacher grants, classroom materials, field trips, curriculum events, and educational and community building programs that are FREE and accessible to all. Our goal is to raise $15K in hopes of being able to continue these efforts. 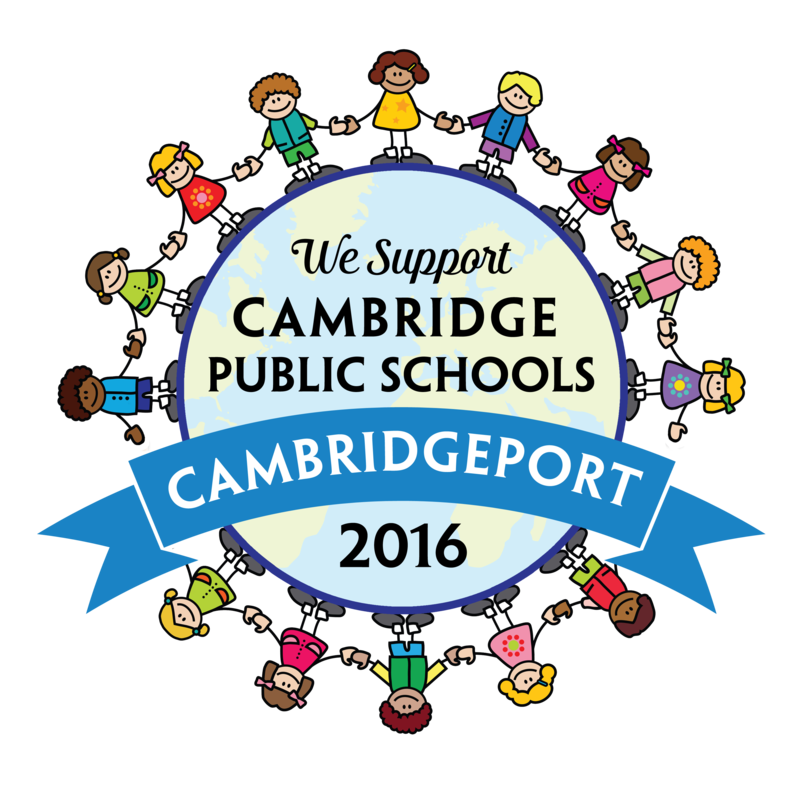 We are reaching out to ask for help soliciting donations – the more donations we receive, the more support we can offer our school. Asking for donations is easy! Outlines below is everything you need to get started. If you have any additional questions or need more support, let us know! 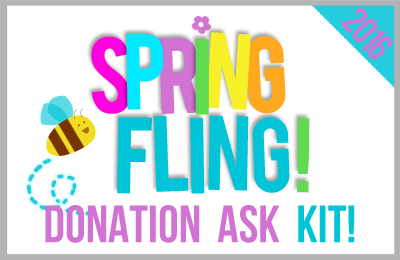 STEP 2: Provide companies with our Spring Fling Donation Request Letter. If the company is kind enough to make a donation, please have them complete the Donation Intake Form (also included in the 2017 Donation Ask Kit). 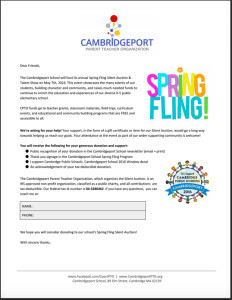 STEP 3: To help reduce duplicate efforts (and limit multiple donation requests to the same vendor) please let us know who you have (or will be) contacting for donations by emailing springfling@cambridgeportpto.org. Don’t have a printer? Don’t worry! 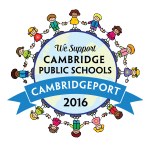 The Cambridgeport Parent Teacher Organization, which organizes the Silent Auction, is an IRS-approved non-profit organization, classified as a public charity. Eligible contributions are tax-deductible based on IRS guidelines. Our federal tax id number is 04-3286462.